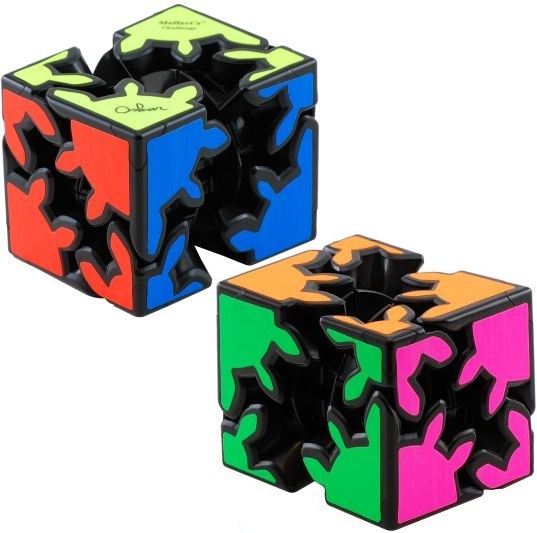 Approximate Dimensions: 2.4" x 2.4" x 2.4"
The Gear Shift give a new twist or two to an old puzzle utilising eight rotating gears, which some might think it’s a definite step down from its previously release older brother the Gear Cube which had 12 gears they will be sorely mistaken. 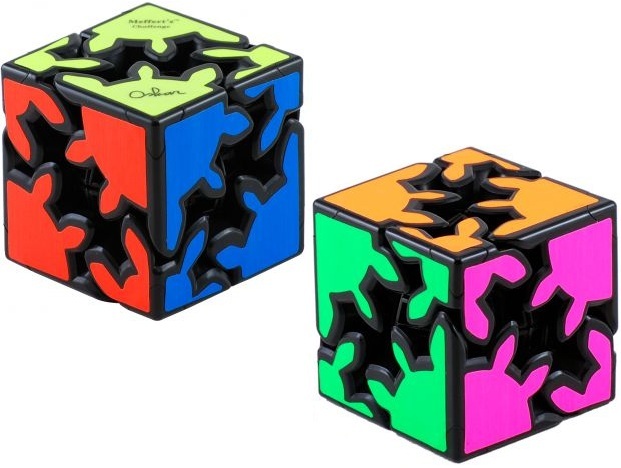 This puzzle is deceptively difficult as while the simple rotation of the eight meshing gears simply serves as a mesmerizing display indicative of a Haruki-Nakamura-style piece of art this is not what makes the Gear Shift truly reveals itself. 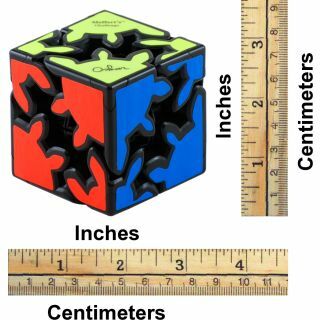 The moment one discovers that the core can be pulled apart the difficulty skyrockets, what was once an inevitability now truly becomes a challenge of logic, for while solving a face or even two might appear simple… to the uninitiated the true challenge has only just begun. 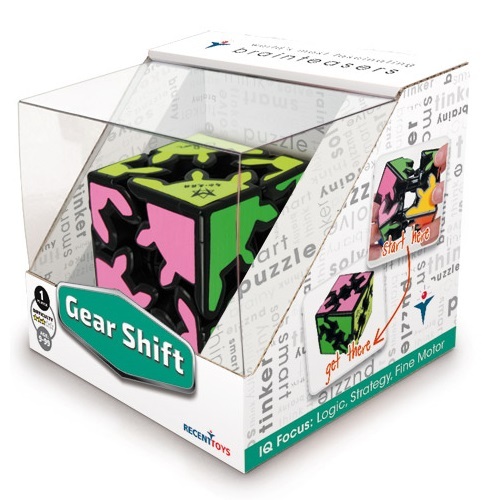 Gear Shift was designed by Oskar van Deventer, based on an idea by Bram Cohen.